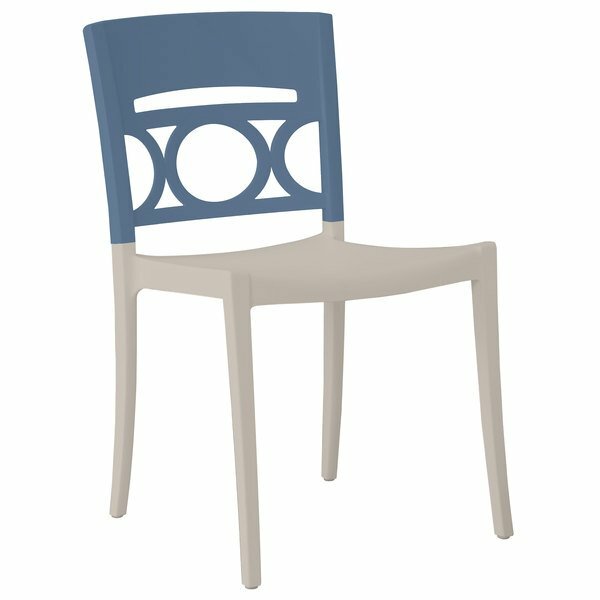 Add contemporary flair to your dining establishment with this Grosfillex US656680 / US556680 Moon linen chair! This chair features an attractive, denim blue back with a linen seat, adding distinct visual appeal to any setting. With its curved design, this chair provides optimum comfort and back support. This chair's powder-coated aluminum seat and legs provide exceptional durability and a modern aesthetic. Designed for long-lasting use, this chair is also UV resistant to ensure its color doesn't fade from direct sunlight exposure. Its impressive 300 lb. capacity is strong enough to withstand daily use in your establishment. Add this sturdy, stylish chair to your outdoor patio or deck and ensure your guests comfortably enjoy their dining experience!